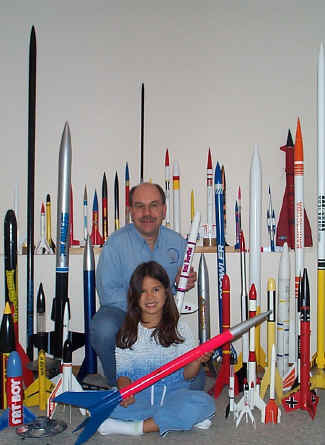 Quantity of rockets! 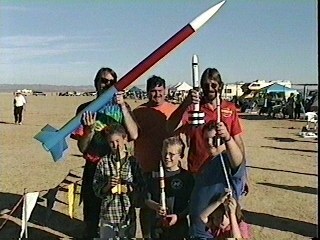 Quantity of rocketeers! Quantity of both! What can you capture in a single picture? That is our new photo contest. Winners will be judged by EMRR Guests during a voting week of March 16 - 22, 2003. A nice one, but has (2) people! PRIZE TABLE: We cancelled the contest, after these two entries. 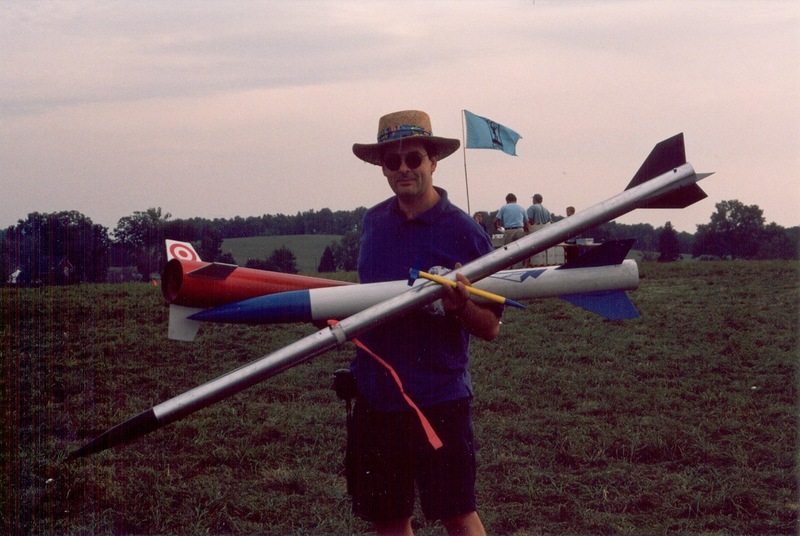 Art Applewhite and QuickBurst have graciously agreed to provide a prize to each of them. 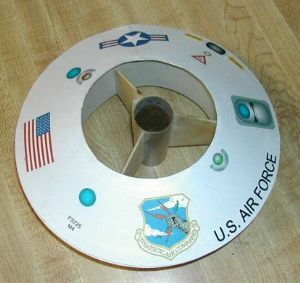 A 6" or 7.5" U.F.O's., each, of your choice of design. 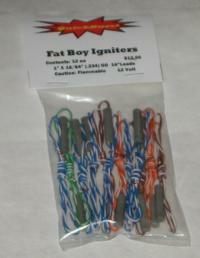 One 10 pack of igniters, each! 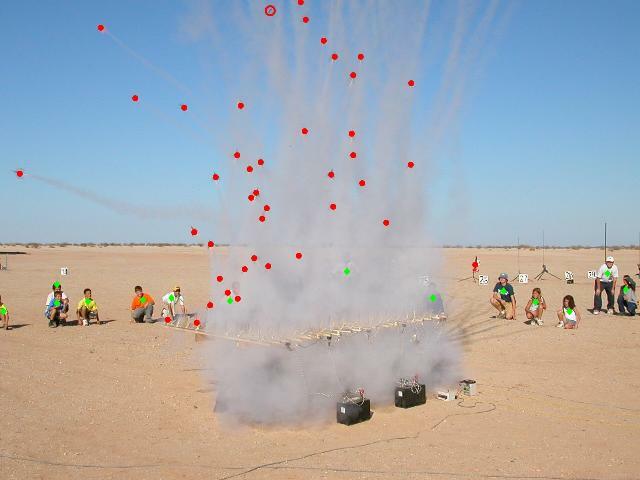 The attached digital image was taken at the "Plaster Blaster" launch in Plaster City, California on October 5, 2002. Andy Woerner, Mike Jerauld, and Joanna Woerner set up a 200 custom-built Mosquito swarm for a "drag race" with prizes for recovered rockets. 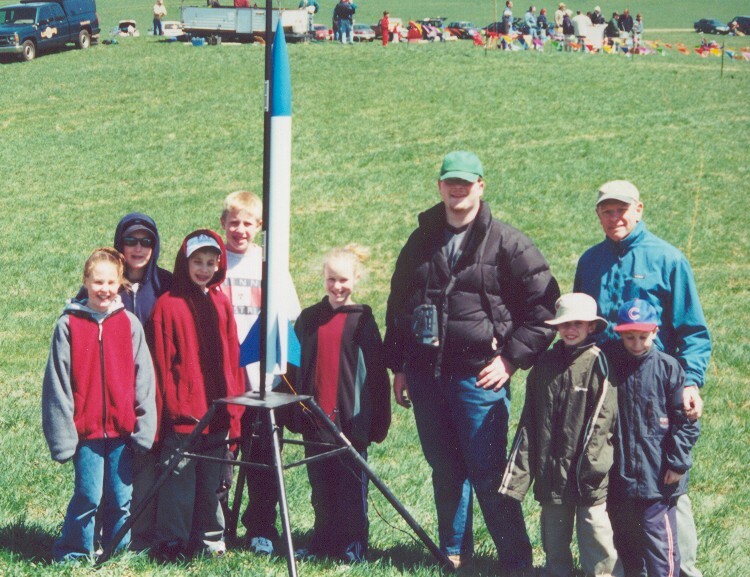 All the kids were gathered in a circle around the launch table and the button was pushed. The sight was nothing short of amazing as 198 of the 200 mosquitoes took to the air in a big cloud of white smoke. The kids scrambled around the range in search of the illusive "golden snitch," the one mosquito in the group painted shiny gold. 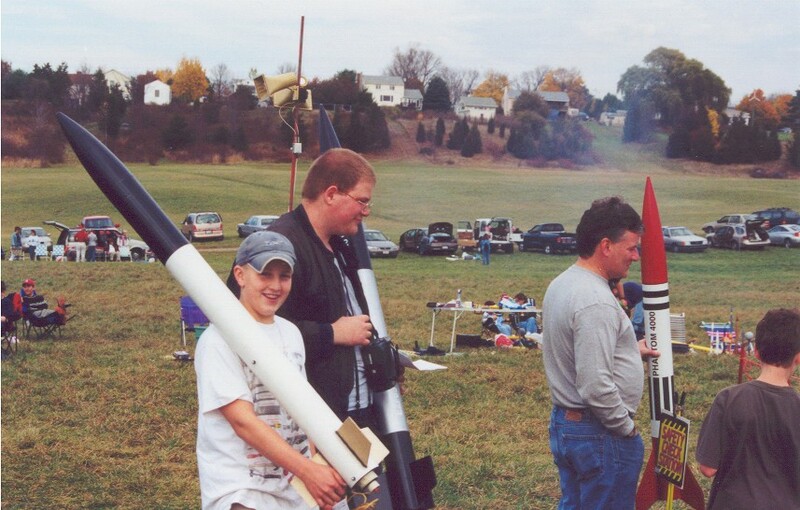 Prizes included rocket kits, videos, glow necklaces, rocket balloons, and candy.